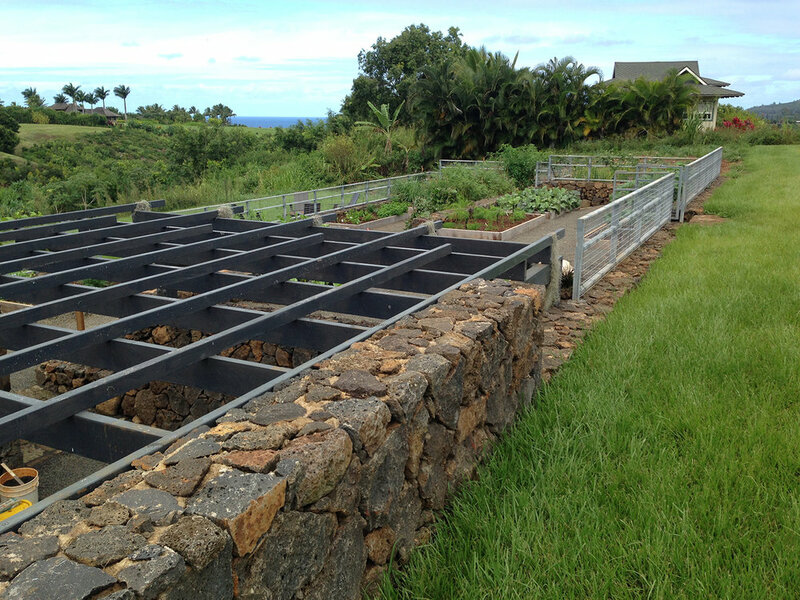 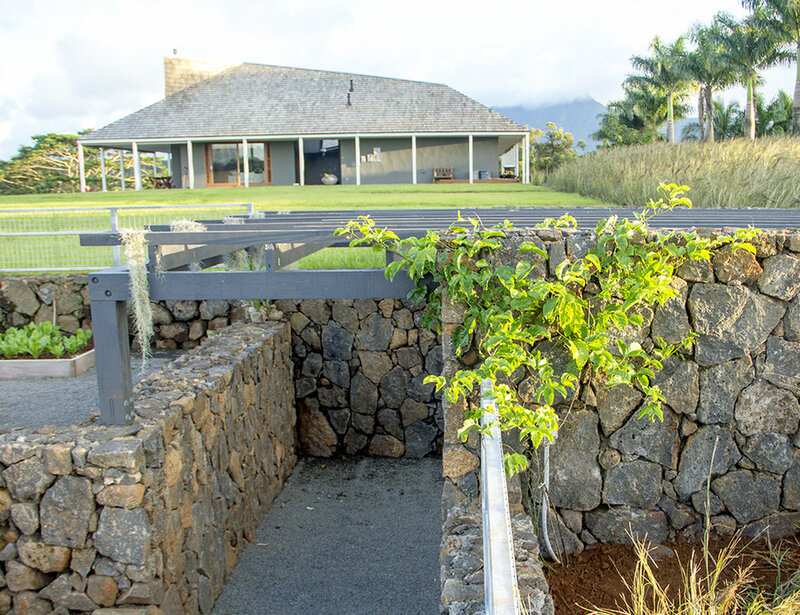 The new house and guest house, designed by Johnston Marklee, sit as beautiful objects on the landscape with Kauai's dramatic coastal views as their backdrop. 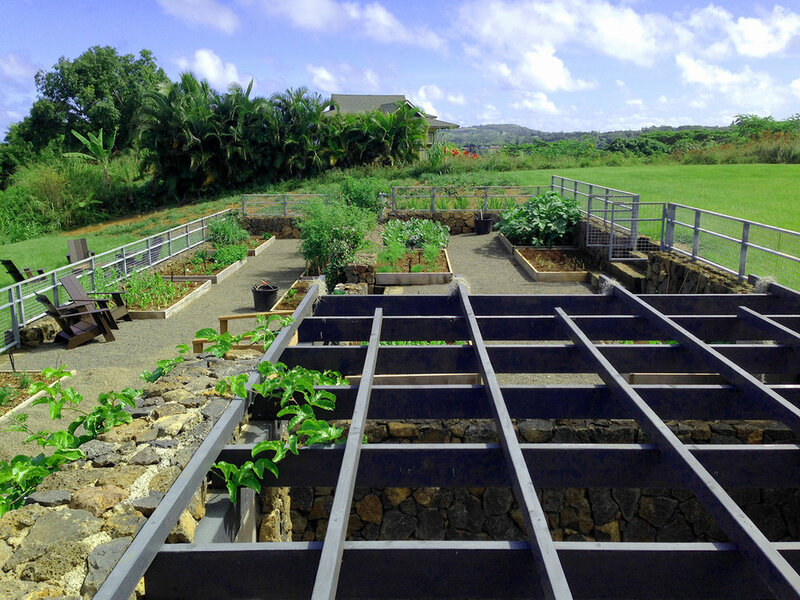 The goal of the gardens is to create a landscape that belongs to the island and grounds the setting for the building. 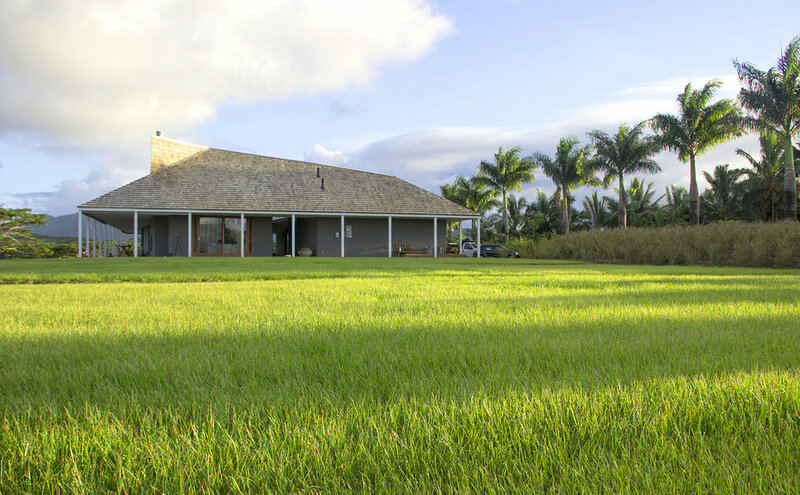 Subtle plant choices used in bold massings frame large expanses of native grasses. 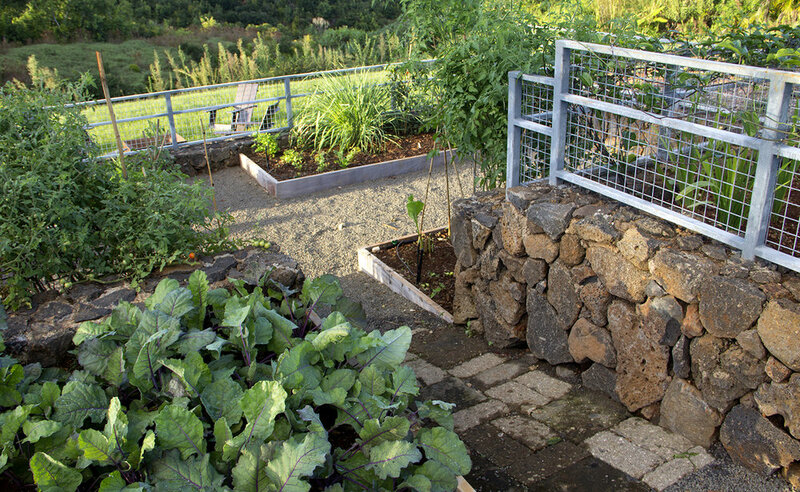 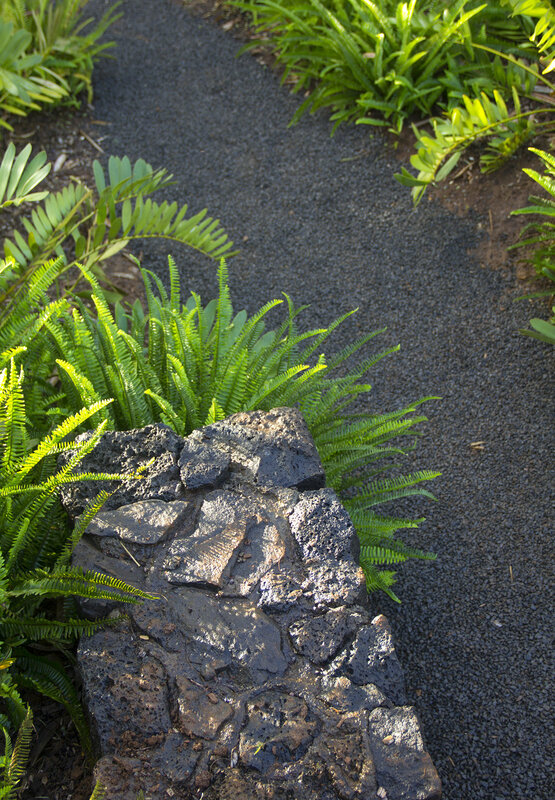 A sunken blue lava rock garden room anchors a series of rustic stone terraces with substantial production gardens. 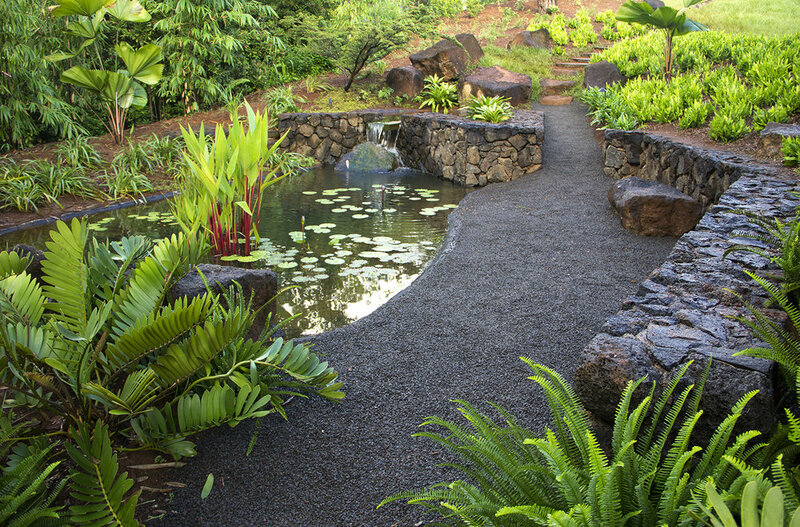 Next to the guest house, a new pond with water spilling over rock wall weirs, surrounded by a bamboo forest, creates an enchanting place for relaxation.